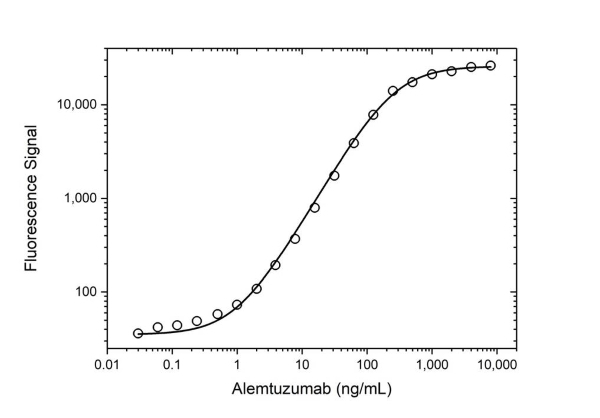 Anti-alemtuzumab antibody is a recombinant, neutralizing anti-idiotypic antibody in monovalent Fab format; it is ideal for assay development to measure levels of alemtuzumab or biosimilars. It is recommended as a capture antibody in a PK bridging ELISA. Human anti Alemtuzumab antibody, clone AbD16728 recognizes alemtuzumab, a monoclonal antibody drug directed to human CD52 and used in the treatment of chronic lymphocytic leukemia (CLL), cutaneous T-cell lymphoma (CTCL) and T-cell lymphoma. 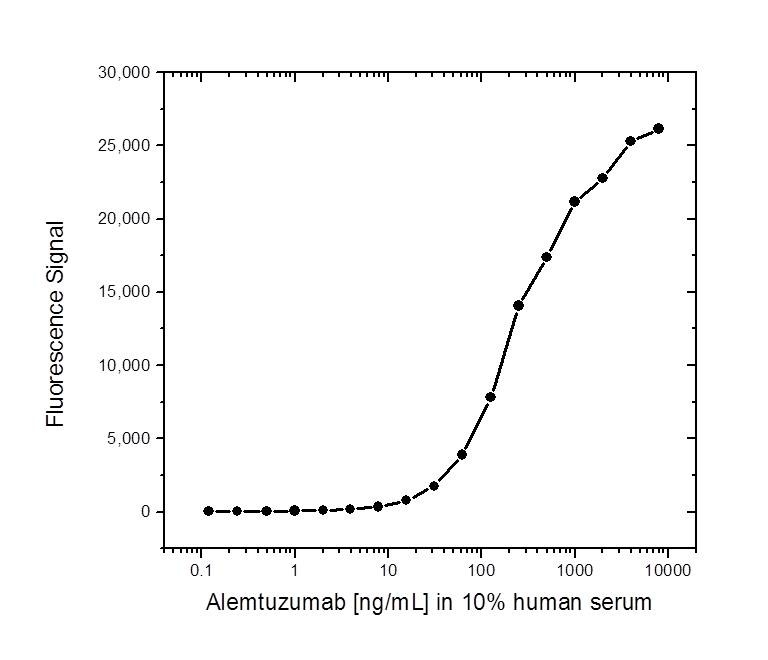 Alemtuzumab is also used in some conditioning regimes for bone marrow transplantation, kidney transplantation and Islet cell transplantation along with clinical trial protocols for treatment of certain autoimmune diseases including multiple sclerosis. Human anti Alemtuzumab antibody, clone AbD16728 is an anti-idiotypic antibody that specifically recognizes the alemtuzumab humanized monoclonal antibody and and can be used to measure the levels of alemtuzumab and biosimilar products using bioanalytical assays. This antibody may be used in a bridging ELISA in conjunction with horseradish peroxidase conjugated clone AbD16942 (HCA175P). Clone AbD16728 has been demonstrated to inhibit the binding of alemtuzumab to CD52-positive human cells in flow cytometry. It also blocks the binding of clone YTH34.5, the Rat monoclonal prototype antibody of alemtuzumab, to CD52+ cells. View a summary of all anti-alemtuzumab antibodies. A monovalent human recombinant Fab (lambda light chain) selected from the HuCAL® phage display library, expressed in E. coli. The antibody is tagged with a V5 tag and a double extended Strep-tag. This antibody is supplied as a liquid. 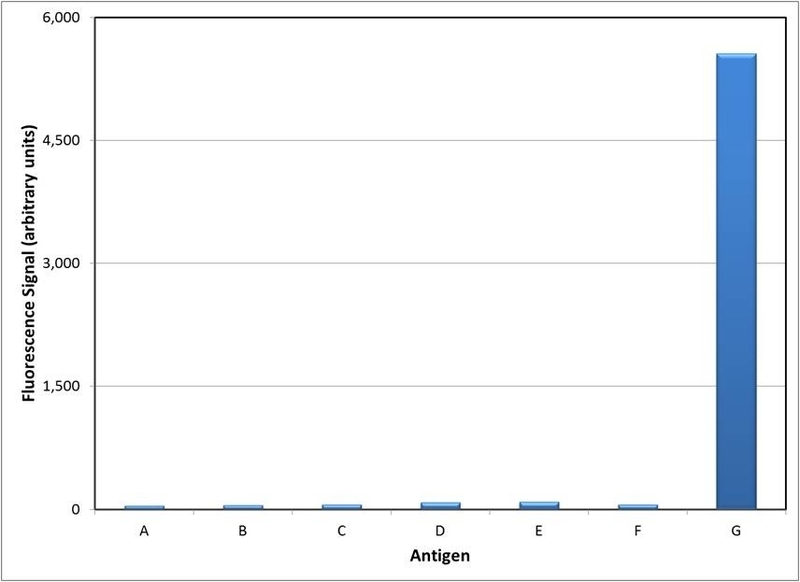 The monovalent intrinsic affinity of this antibody was measured as KD=1.6 nM by real time, label-free molecular interaction analysis on immobilized alemtuzumab. Total protein concentration 0.5 mg/ml.